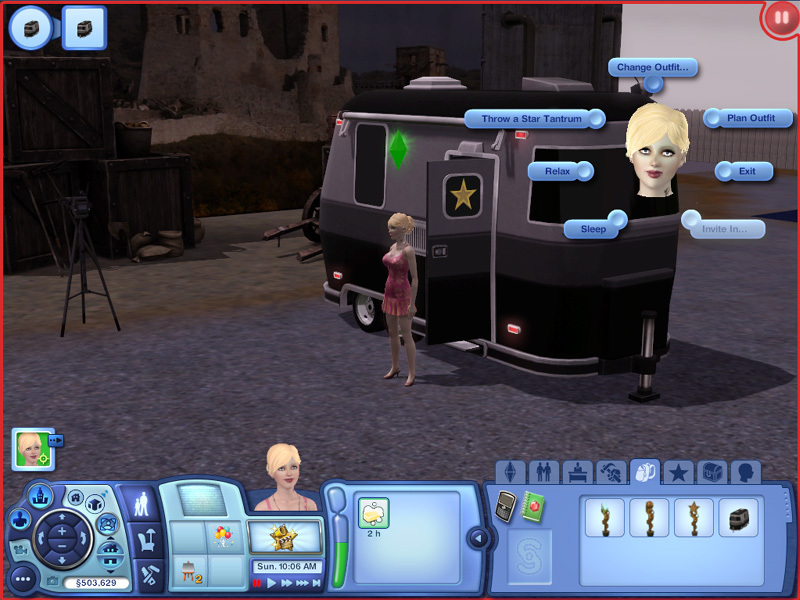 Celebrity gifts and Film Career Rewards for The Sims 3 Late Night. A celebrity may receive objects which cannot be purchased without using buydebug. ♥ Level 4, Personal Assistant – Small boost when gaining Celebrity Points. ♥ Acting Level 5/Directing Level 6, TV Actor/Storyboardist – Star requirement reduced by one for going through barrier ropes. ♥ Directing Level 8, Script Writer – “Write Screenplay” unlocked for Writing skill. I’ve hit Distinguished Director twice without receiving the Director’s Seat of Power, but it can be bought with buydebug. Both actors and directors can win awards – Simmy Award, Sims Choice Award, Green Orb Award. Unlike Ambitions Careers, there are no rewards for working beyond level 10.